The 2019 Toyota Camry may be an economy vehicle first and foremost, but its five-passenger cabin includes features Mission Hills won’t find on many luxury sedans. Equipped with features like wood trim, Toyota Entune™, and Wi-FI, the Toyota Camry interior offers a cozy haven you’ll appreciate during everyday errands or long drives. Read on to learn more about the new Camry interior’s star features and specs! Toyota Safety Sense™ P (TSS-P): The Camry comes standard with a Pre-Collision System with Pedestrian Detection, Lane Departure Alert with Steering Assist, Automatic High Beams, and Dynamic Radar Cruise Control. Toyota Entune™: Toyota Entune™ 3 is included on the Camry L, which features a 7-inch touchscreen, Apple CarPlay, Siri Eyes Free, voice recognition, and more. Wi-Fi Connect Powered by Verizon: You and your passengers can connect up to five devices as you commute through Huntington Park. Test Drive the New Camry at Toyota of Downtown LA in Los Angeles! 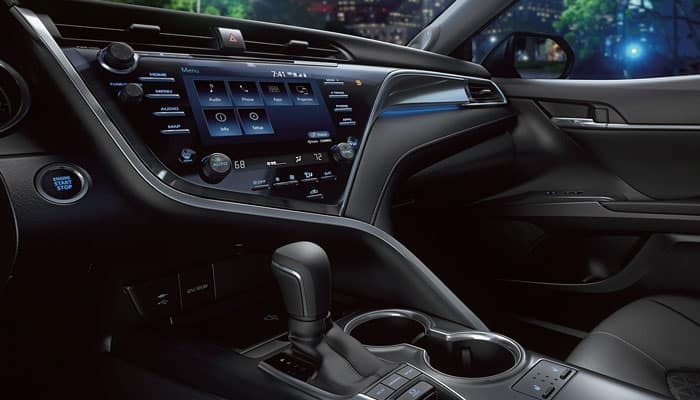 Ready to experience the 2019 Toyota Camry interior from the driver’s seat? 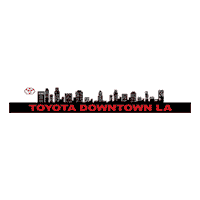 Contact us at Toyota of Downtown LA to schedule a test drive near Huntington Park and Alameda. Whether you’re shopping for a black Toyota Camry or a Toyota Camry Hybrid, we can help you find it!